“Do you ever feel alone?” At San Diego Comic-Con this week, FX revealed the premiere date and title for season seven of American Horror Story. Titled American Horror Story: Cult, the new season will explore the events surrounding the 2016 U.S. Presidential Election. The cast includes Sarah Paulson, Evan Peters, Billie Lourd, Billy Eichner, Cheyenne Jackson, Alison Pill, Colton Haynes, Lena Dunham, and Adina Porter. Season seven of American Horror Story debuts on FX on September 5th at 10 p.m. ET/PT. LOS ANGELES, July 20, 2017 – FX tonight revealed the premiere date for American Horror Story: Cult, the seventh installment of the groundbreaking and award-winning anthology series from Co-Creators Ryan Murphy and Brad Falchuk. The Emmy(R), Golden Globe(R) and AFI(R) Award winning series will return to FX on Tuesday, September 5, 2017 at 10 PM ET/PT. The first clues to the seventh installment were unveiled tonight at a special stunt on the waterfront adjacent to the FXhibition at the Hilton Bayfront Park at San Diego Comic-Con. The installment encouraged fans to visit www.AHS7.com, which disclosed the title and premiere date and will serve as the source for all future reveals ahead of the Sept. 5 premiere of AHS: Cult. What do you think? Do you watch American Horror Story? Will you watch the new season? More about: American Horror Story, American Horror Story: canceled or renewed?, FX TV shows: canceled or renewed? 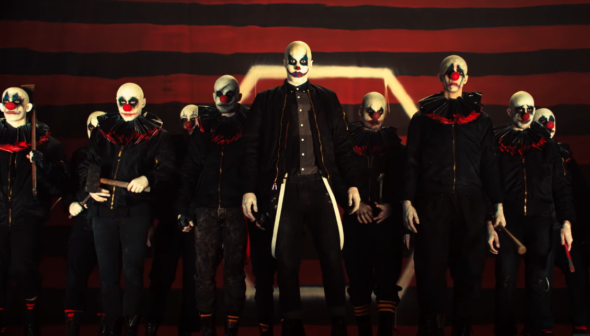 American Horror Story: Cancelled or Renewed for Season Eight on FX? after the strain, FX is dead to me.! !